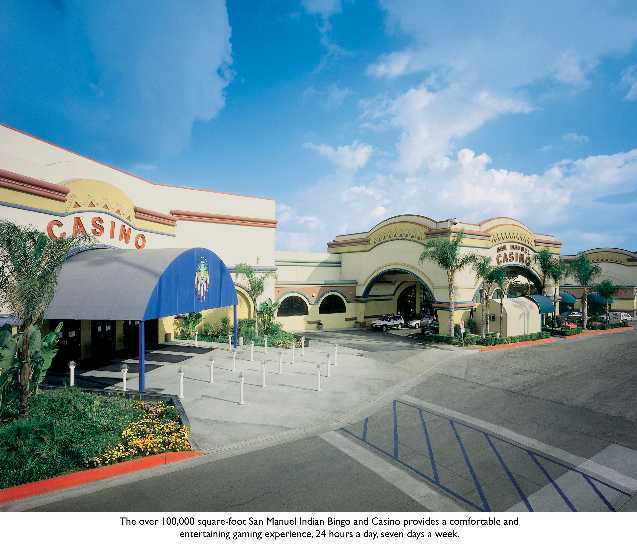 In 1988, Congress passed the Indian Gaming Regulatory Act, allowing federally recognized tribes to open gambling facilities with gubernatorial consent. The intent of the 1988 law was to allow Native Americans to lift themselves out of poverty through self-reliance. The law, however, has not worked that way. Nearly 80 percent of Native Americans do not receive anything from gambling revenues. Most tribes, which are located in areas that are not economically viable for a casino, continue to live in awful poverty. As the author of the 1996 law that created the National Gaming Impact Study Commission, I have become increasingly concerned about the rapid expansion of legalized gambling in this country. Today, there are nearly 800 casinos operating in 28 states, the lottery is played in 38 states plus the District of Columbia, and all but two states have legalized some form of gambling. Gambling expansion has swept the nation, with revenues jumping from about $1 billion in 1980 to well over $69 billion today. That means $189 million a day on average is lost from gambling. When a community opens its doors to gambling, increased levels of addiction, bankruptcy, suicide and crime soon follow. One of the fastest growing areas of gambling is through the Native American community. As gambling has become the staple of our Native American policy, our investment in federal programs intended to improve the health and welfare of tribes has declined significantly. Frankly, I believe that gambling has been an excuse to reduce our commitment to this nation's first citizens. Our reliance on gambling has resulted in untold riches for a very few smaller tribes located in certain areas and continued poverty for the vast majority of Native Americans spread across rural America, where disease, unemployment, and infant mortality continue to dominate America's most impoverished racial group. Also, the gambling industry has poured millions of dollars into efforts to get a few tribes recognized that are located in potentially lucrative markets. The result: numerous outsiders with no tribal affiliation reeling in the money. In the high-stakes race to close in on lucrative gambling markets, certain tribes already operating casinos have made efforts to de-legitimize other tribes. What was once the territory of academic researchers has become a billion-dollar battleground. Researchers at the Bureau of Indian Affairs report of actually being threatened by outside interests. Legitimate tribes not lucky enough to be located in profitable gambling markets are relegated to second-tier status. Reports of the influence of organized crime on Indian gaming are also alarming. Widespread allegations of corruption, theft, bribery, loan-sharking and other criminal conduct are casting a cloud over tribal gambling activities. This stems directly from the lack of federal oversight for Indian gaming operations. 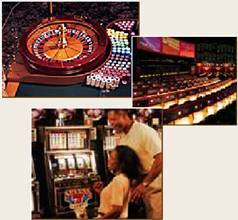 For example, in New Jersey, more than 100 regulators of the 800 overall maintain a continuous presence in the state's 12 casinos. 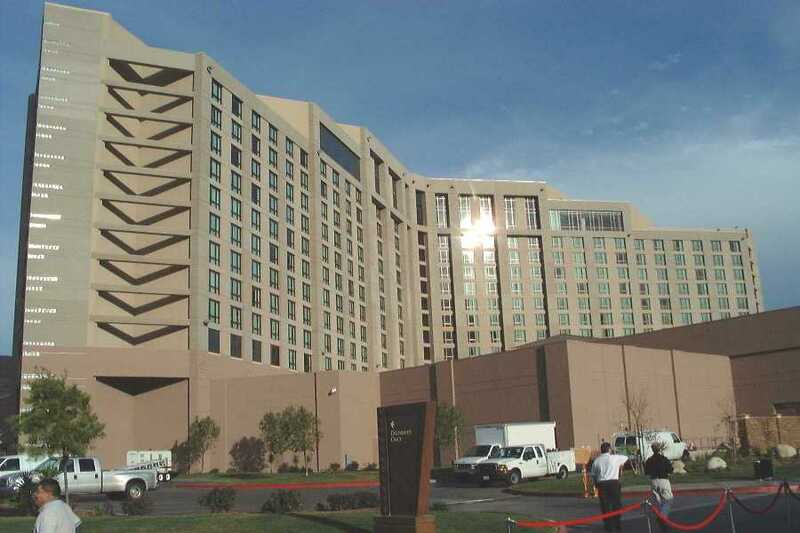 Conversely, a few dozen regulators with the federal Indian Gaming Control Board Commission find themselves spread out to oversee over 300 Indian gaming operations. Finally, the current system has engendered a new hostility toward Indian tribes from their neighboring communities. Recognition of land claims is often perceived as purely an attempt to open lucrative casinos, rather than an attempt to properly acknowledge the legitimate rights of tribes. The decision to federally recognize a tribe and the consequent initiation of large-scale gambling facilities has had devastating impacts on surrounding communities. Small businesses collapse, families are ruined and the political process almost always loses credibility when gambling is introduced into a community. Under the current system, local communities are locked out of the process, their voices silenced by the huge sums of money poured into the political system by the gambling interests. The vast majority of Native Americans have not been well-served by the gambling industry. Our current system is unfair to both native and non-Native Americans. If America continues to rely on gambling for the future welfare of Native Americans, I fear most will continue to live in serious poverty. At the same time, the victims of the gambling industry will continue to mount. Frank Wolf is a Republican congressman from the 10th District in northern Virginia. He lives in Vienna, Va.
>> The intent of the 1988 law was to allow Native Americans to lift themselves out of poverty through self-reliance. The intent of IGRA was to allow some Natives to lift themselves out of poverty through self-reliance. No one ever envisioned that every tribe would pursue gaming. The law has worked as intended: letting tribes who want to pursue self-reliance through gaming pursue it. Yes, thanks to legislators like Wolf. These legislators refuse to fund tribal services at the level they should be funded at, according to constitutionally valid treaties. Money isn't "lost" to gambling any more than it's lost to any other form of recreational spending. Rather, it's transferred from the buyers to the sellers of the recreation, who then spend it on food, shelter, and other goods and services. It's called capitalism. You know, free markets? Supply and demand? Wolf may want to take a class in economics if he doesn't understand it. These alleged problems are mostly unproven. Conflicting studies show that new casinos, like most new businesses, have both benefits and drawbacks. Yes, and that's again because of legislators like Wolf. If he's called for an increase in spending on government services to Indians, I must've missed it. Instead, he refers vaguely to "our commitment" without stating his position on specific funding questions. Who's this "our" Wolf keeps referring to? The tribes themselves aren't relying solely on gaming. They're reinvesting their gaming revenues in other businesses, diversifying their economies. They also expecting the federal government to uphold its treaty obligations, since these obligations don't depend on the tribes' financial status. If it isn't the tribes, it must be legislators like Wolf, yet again. 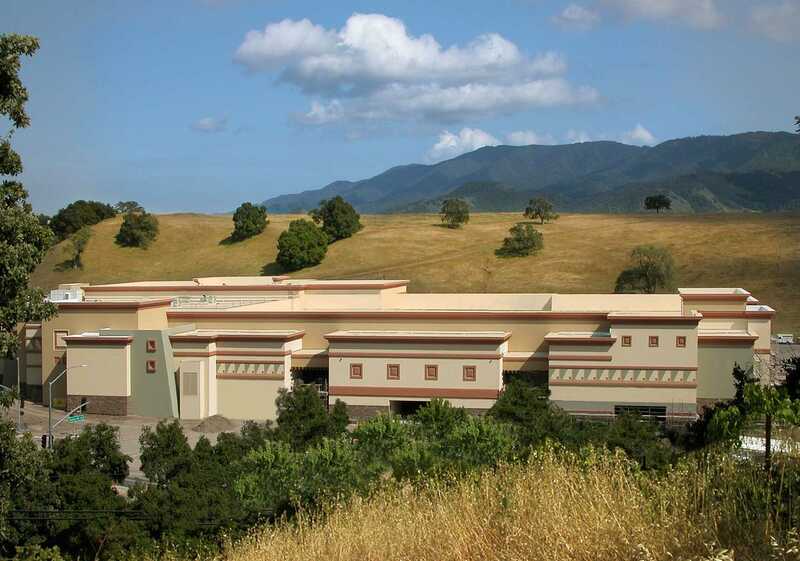 These legislators are cutting spending on tribes because they think gaming revenues are supposed to replace the government's treaty obligations. Wrong. That's called investment. It's how businesses start and grow. Again, Wolf might want to brush up on his Economics 101. "Relegated" by whom? You guessed it...by legislators like Wolf, who refuse to fund tribal services at the levels required by treaties. The allegations may be widespread�since alarmist like Wolf are spreading them widely�but the proof is nonexistent. No organized crime has been found in Indian gaming. The National Indian Gaming Commission is the regulatory agency on the federal level�not the Indian Gaming Control Board Commission, whatever that is. But the feds aren't the primary regulators for Indian casinos. The tribes themselves provide the first level of regulation. The states provide a second level. The feds are there to oversee the regulation, not to be the primary regulators. Funny to see a conservative like Wolf bemoan the lack of government regulation. I guess regulation is good for those untrustworthy Indians, but not for trustworthy white people like himself. But if Wolf is worried about it, he and his fellow legislators can increase the NIGC's funding anytime they want. It doesn't have to depend on the tribes. It's perceived that way because of scaremongering like Wolf's. This article is exactly the type of propaganda that increases the public's negative perception of tribal gaming. This is flatly false. Most surrounding communities report positive or mixed benefits after they get over their initial fears. Note that Wolf has shifted his argument. He's gone from bemoaning how Indian gaming helps some tribes but not others to bemoaning Indian gaming, period. If every tribe conducted gaming, that would solve his initial objection, but not his real objection. Although he tries to hide it, his agenda is clear. Wolf doesn't oppose Indian gaming because it helps some tribes but not others. He opposes it because it helps Indians but not non-Indians. More undocumented scare tactics. Don't believe anything you read from Wolf without hard evidence. Actually, the governors and legislators of most states have to approve the tribes' gaming compacts, and they represent the local communities' interests. It's called representative democracy, or republicanism. It seems Wolf needs to take Political Science 101 as well as Economics 101. They haven't been ill-served by it, either. Again, Congress intended IGRA to help some tribes, not all. But Wolf is wrong even on this score. Gaming revenues do help non-gaming tribes and even non-Indians. How? Because gaming tribes are funding charities, museums, the arts, language programs, and scholarships. All these help the recipients, whether they're tribal members or not. They increase the financial, moral, and spiritual sustenance of all Native people. When the majority of Natives oppose Indian gaming, Wolf can pat himself on the back. That's not the case now. The majority of Native support Indian gaming, not oppose it. They, not Wolf, know what's in their best interests. Again, Natives aren't relying on gaming for their future welfare. Legislators like Wolf may hope Natives rely on gaming. Because if that happens, it'll free these legislators from increasing spending on needed government programs.